The digital skills gap is here to stay. It will take years to address, and being prepared to face the challenge is the best strategy an entrepreneur may have. It is not surprising that CBInsights ranks ''not the right team'' among the top five reasons for startup failure. At the same time, team members need to complement each other and have the right skill set. However, sourcing talent with the right skills is becoming harder and harder despite the high youth unemployment rate in the European Union. 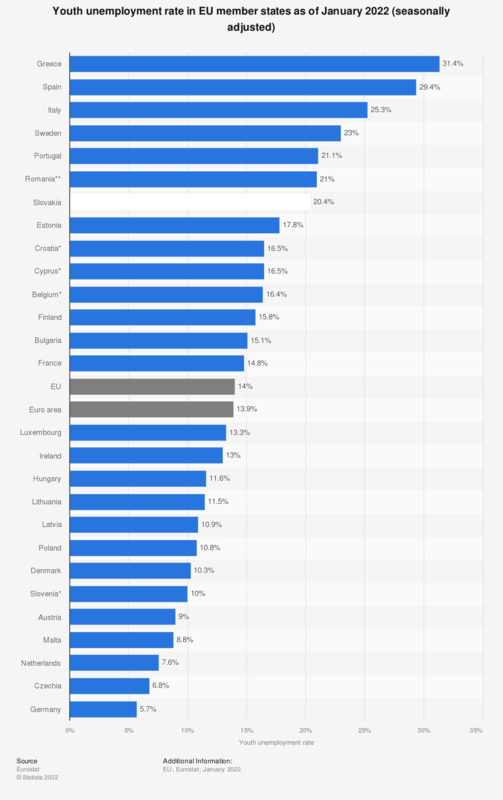 With such terrifying youth unemployment rates in a number of EU countries, how is it possible to speak of a skilled workforce shortage? Are millennials to blame for not being interested in learning new skills and being unprepared for the labor market? In fact, it is not just millennials who struggle to find a job; older workers are facing the same challenges despite their experience. Actually, the digital skills gap goes far beyond the willingness of individuals to master new skills and engage in continuous learning. It has much more to do with the insufficient information exchanged among businesses, schools, universities and government and non-government bodies. Put simply, to develop new skills individuals need to know which skills are demanded by businesses and why. The same information is vital for the universities to be able to develop adequate programs and engage with the business community to secure internships and jobs for the graduates. Unfortunately, addressing this problem is easier said than done. In 2016, the EU Commission launched the Digital Skills and Jobs Coalition to address the digital skills gap. The Coalition is a multi-stakeholder partnership involving member states, companies, social partners, NGOs and educational establishments, all of whom are committed to reducing the digital skills gap. Since the first year of its establishment, big names like Google, Microsoft, Oracle and SAP joined the coalition and pledged to take action. What if a technology company in Sweden urgently needs a blockchain engineer or a clinic in Surrey is desperately looking for an experienced cardiologist? Is it possible for a junior expert to develop the necessary skills over a relatively short period of three to six months? If the answer is yes, it is important to figure out if there is an expert who can help a new hire to get up to speed quickly. In some cases, if the knowledge and expertise are not available internally, it is possible to arrange for external training within the available budget. What if the business can't wait for three to six months? Depending on the available budget and business process specifics, it may be possible to outsource the tasks and simultaneously train a new hire on the job. Eventually, when the new hire and management are confident enough, the process can be insourced. However, if the process is insourced, it is vital to have a backup in case the new hire leaves the company or needs to take time off. This need could be addressed either by signing a ''time and material'' agreement with the outsourced partner to ensure commitment when such need arises or by hiring and training more employees. With the rise of on demand platforms and to save on costs, many businesses rely on the services of freelancers as a backup. Is it possible to relocate experts from other parts of the world if the required skills take years to develop? If we go back to the clinic in Surrey, it is very unlikely, if not impossible, to hire a cardiologist having just one year of experience instead of the required 10 years. There is an urgent need to hire an outstanding professional to sustain the competitive advantage, so what the clinic could do to address it? EU member states are in a favorable position compared to the rest of the world as legislation allows for a relatively easy relocation of workers from one member state to another. Outsourcing is not always an option as this may result in dependency on an external provider or losing the trust of the client base.